By now, little of what Allen West says ever surprises. He has called President Obama “a low level Socialist agitator,” said anyone with an Obama bumper sticker on their car is “a threat to the gene pool” and told liberals like Harry Reid and Nancy Pelosi to “get the hell out of the United States of America.” Apparently, he gets his talking points from Fox News, Rush Limbaugh, or the discredited right wing rocker Ted Nugent. But this time, we shook our heads in disbelief: “78 to 81 Democrats… members of the Communist Party?” That’s the moment the memory hole opened up and a ghost slithered into the room. The specter stood there, watching the screen, a snickering smile on its stubbled face. Sure enough, it was the ghost of Senator Joseph McCarthy, the Wisconsin farm boy who grew up to become one of the most contemptible thugs in American politics. Back in the early1950’s, the Cold War had begun and Americans were troubled by the Soviet Union’s rise as an atomic superpower. 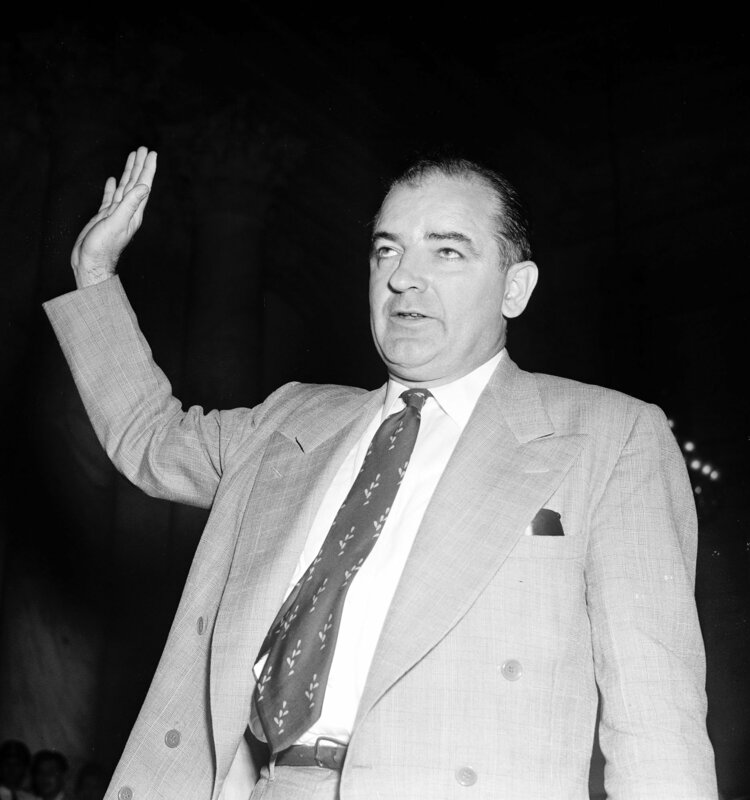 Looking for a campaign issue, McCarthy seized on fear and ignorance to announce his discovery of a conspiracy within: Communist subversives who had infiltrated the government. Millions of Americans lapped it up, but in the end, Joe McCarthy would be done in by the medium that he had used so effectively to spread his poison: television. In 1954, legendary broadcaster Edward R. Murrow bravely exposed McCarthy’s tactics on the CBS program, See It Now. McCarthy never recovered. His tactics had been opposed from the outset by a handful of courageous Republican senators. Now they pressed their case with renewed vigor. One of them, Senator Ralph Flanders of Vermont, introduced a motion to censure Joseph McCarthy. When it eventually passed 67 to 22, McCarthy was finished. He soon disappeared from the front pages. Three years later, he was dead. Like McCarthy, the more Allen West is challenged about his comments, the more he doubles down on them. Now he’s blaming the “corrupt liberal media” for stirring the pot against him – a trick for which McCarthy taught the master class. And the congressman’s latest fusillades continue to distort the beliefs and policies of those he smears – no surprise there, either. To help him continue his fight for “the heart and soul” of America he’s asking his supporters for a contribution of ten dollars or more. There could even be a super PAC in this – with McCarthy’s ghost as its honorary chairman. I have always considered Edward R. Murrow as one of America’s heroes. His speech against McCarthy is a classic and I have enjoyed watching reruns of it many times. I have always wondered why some Americans want to return to that time. So many people were virtually ruined.